Black x 0 pcs. Dark Silver x 0 pcs. 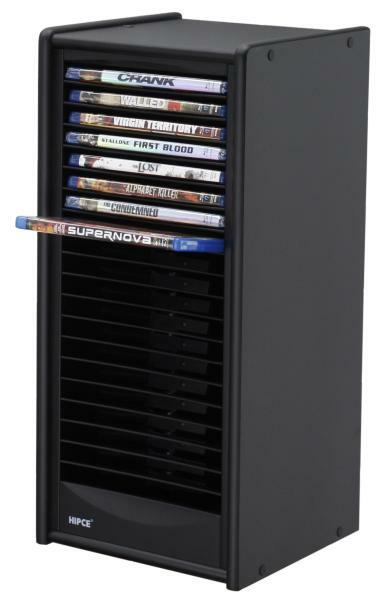 Hold 20 Blu-ray discs; Push Blu-ray case to activate the battery-free glide-out motion device. 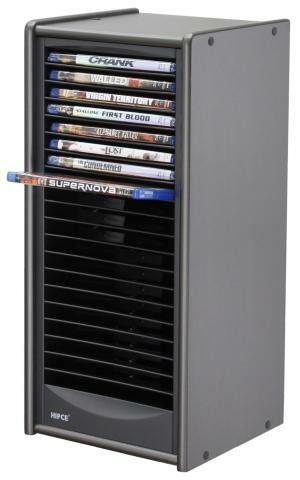 Case slots with tilt-up angle allow movie title easy to read and prevent case from falling out. Can be stacked up to three units. (To avoid tip-forward, baseboard is required for 2~3 units stacking, separate purchasing available).